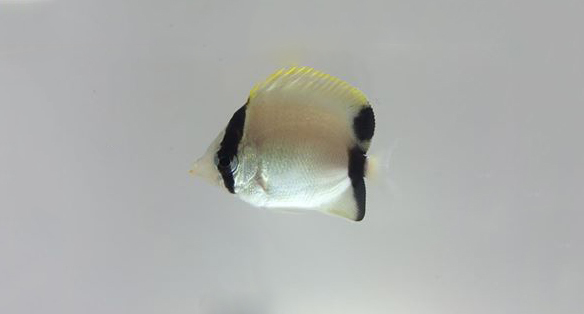 One of the first two captive-bred Goldflake Angelfish juveniles imported to the U.S. 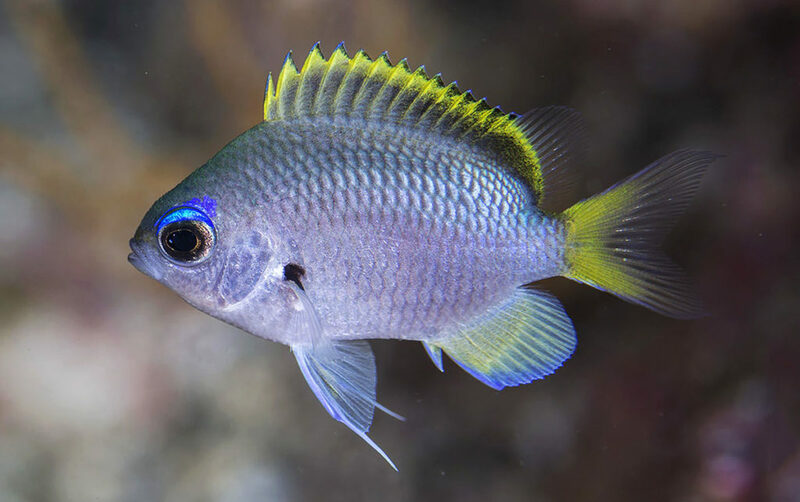 The fact that the first-time successful breeding of a species of rare Angelfish can somehow evade the online aquarium press for over half a year represents an interesting statement on how far captive breeding has come. 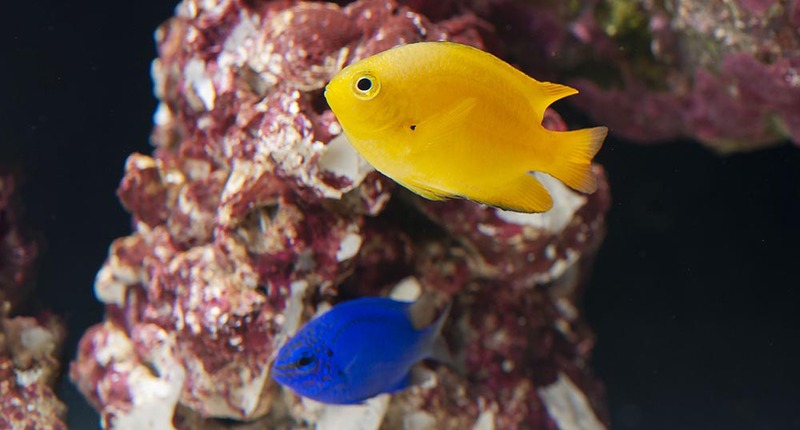 Are breeding firsts so commonplace now that we collectively think, “Oh, it’s just another captive-bred angelfish” and don’t even do a double take? 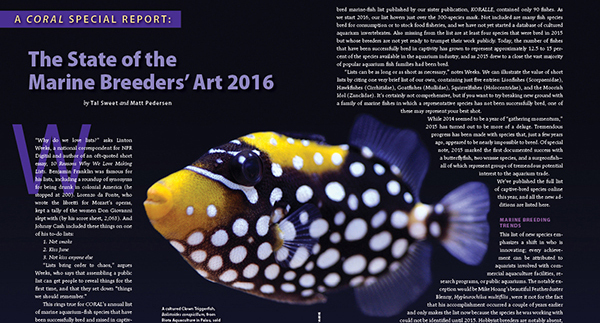 Time to give this fish its fair shake! 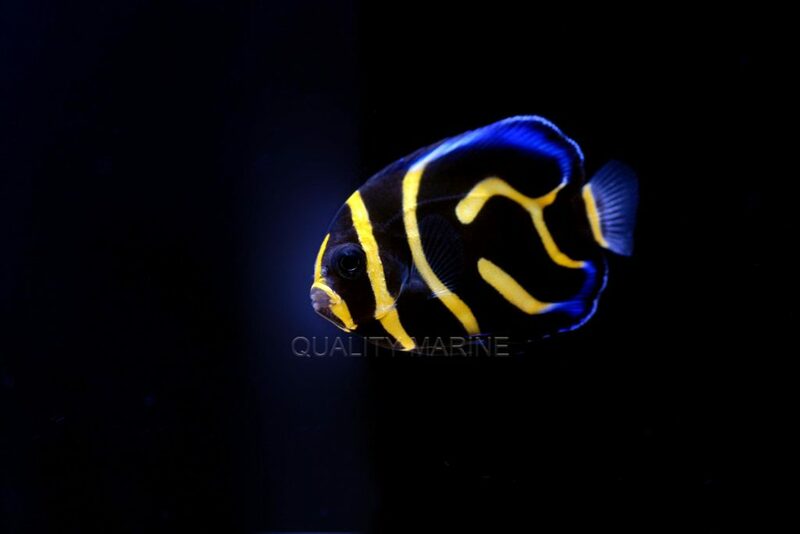 Wen-Ping Su of Bali Aquarich first succeeded in breeding the Flagfin Angelfish, Apolemichthys trimaculatus, in early 2015. 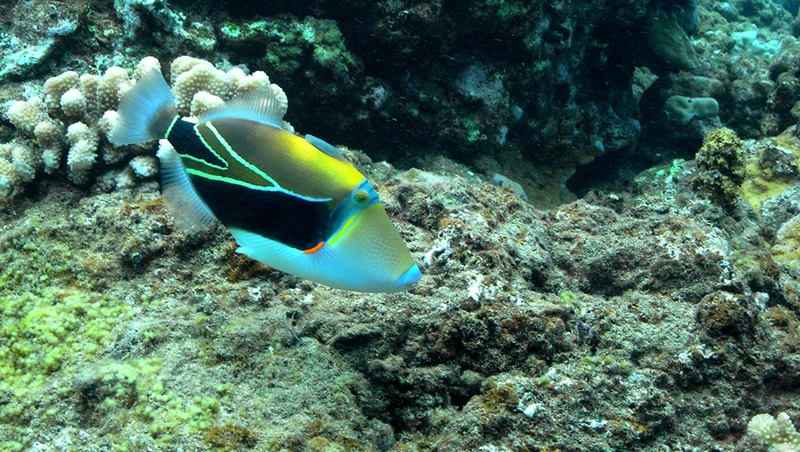 He quickly followed this up with the hybrid of that species with the Goldflake Angelfish, A. xanthopunctatus, by the summertime. 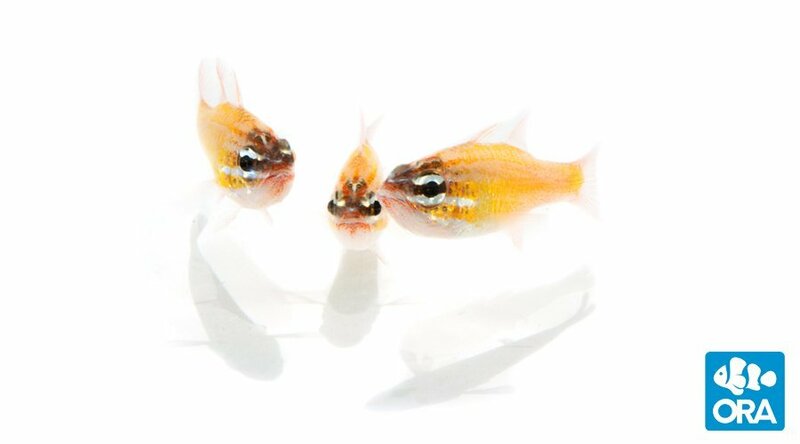 At the start of 2016, Wen-Ping Su documented the initial run of pure Goldflake Angelfish offspring, and by mid-April he was showing off the world’s first captive-bred Goldflakes. 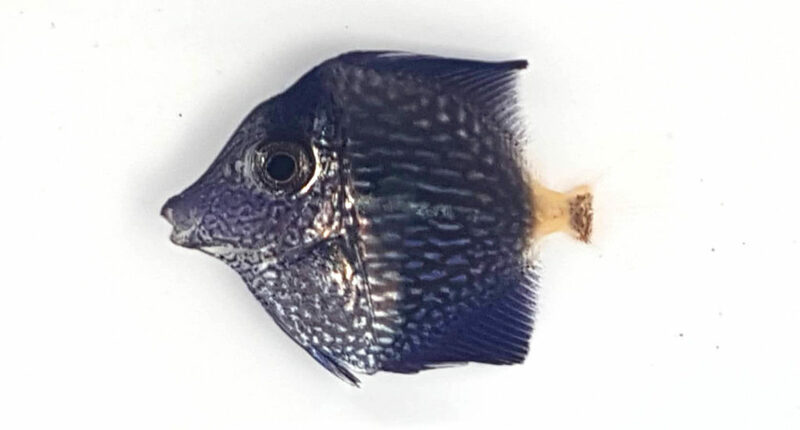 Via personal communication, Su shared the facts that the eggs of A. xanthopunctatus are approximately 0.65-0.72 mm in diameter—“not too difficult,” as he put it, with regards to rearing marine angelfish offspring. 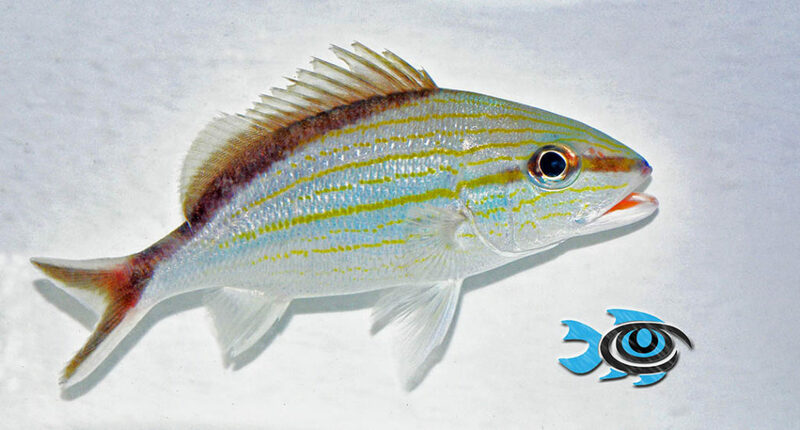 His online documentation showed the fish reaching 1 cm by 30 days of age, and showing juvenile coloration at 45 days. 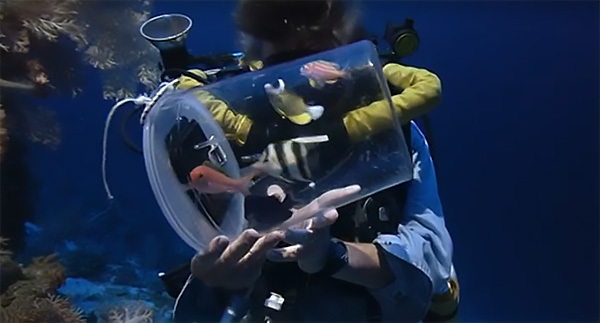 Given what we know about various marine fish larval durations, 45 days for an angelfish is really not that long. 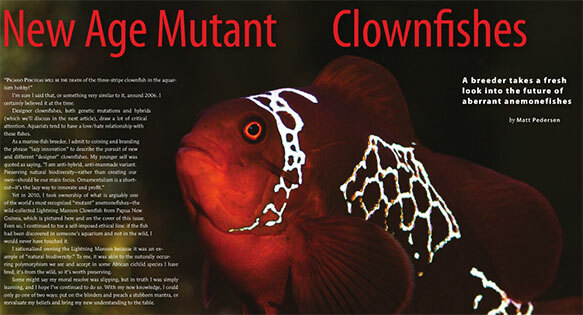 These fish spend their entire lives in pond culture; Bali Aquarich uses both “3-ton and 25-ton ponds” to complete the captive production of this and other Pomacanthid species. 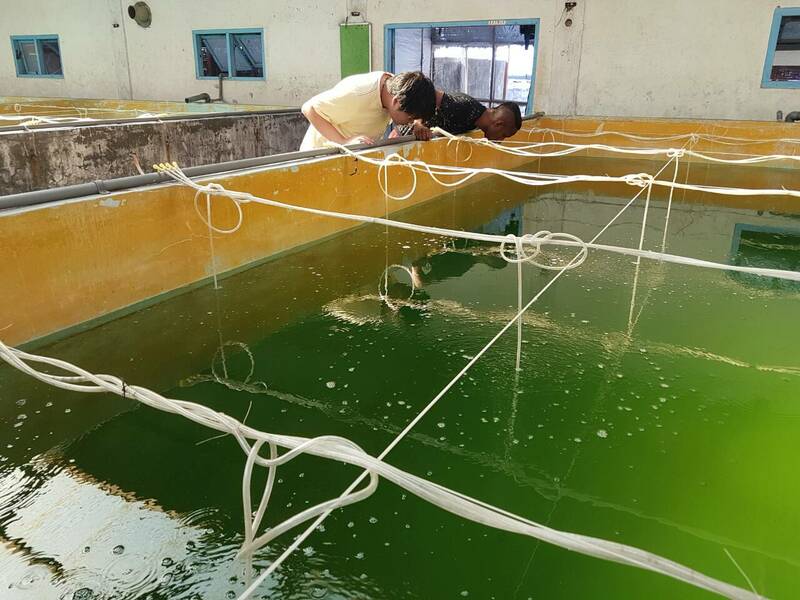 When large spawns of angelfish are collected from broodstock such as Pomacanthus annularis, the eggs are stocked into 25-ton concrete ponds like this one. 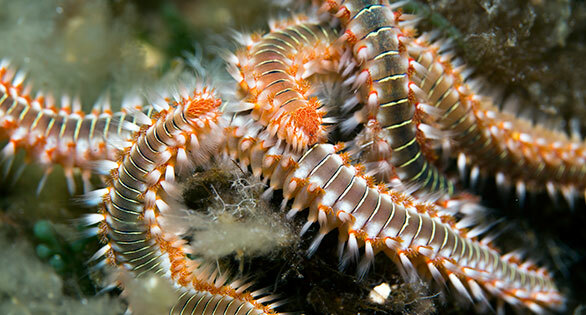 Image courtesy Bali Aquarich/Wen-Ping Su. 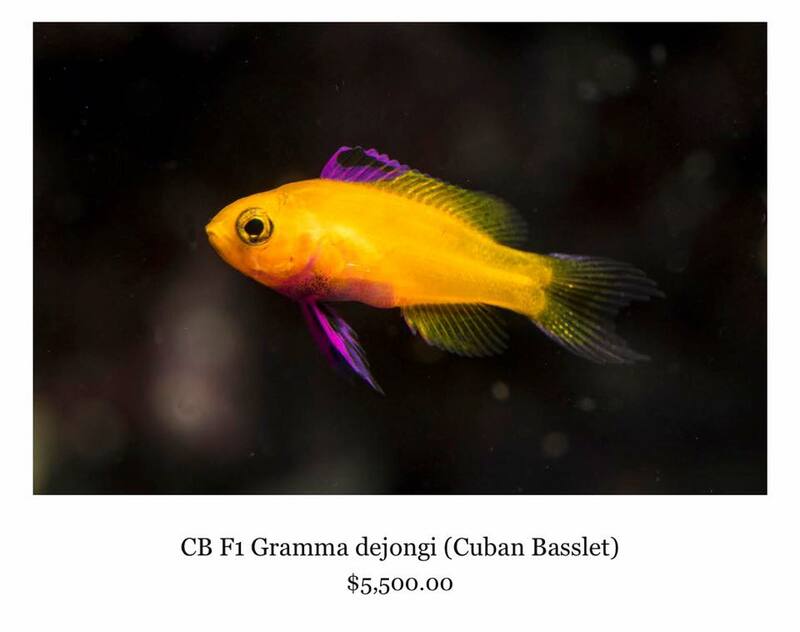 It is my understanding that only two captive-bred Goldflakes have been shipped to the U.S. (full disclosure, my small retail outlet was the final buyer of these fish). 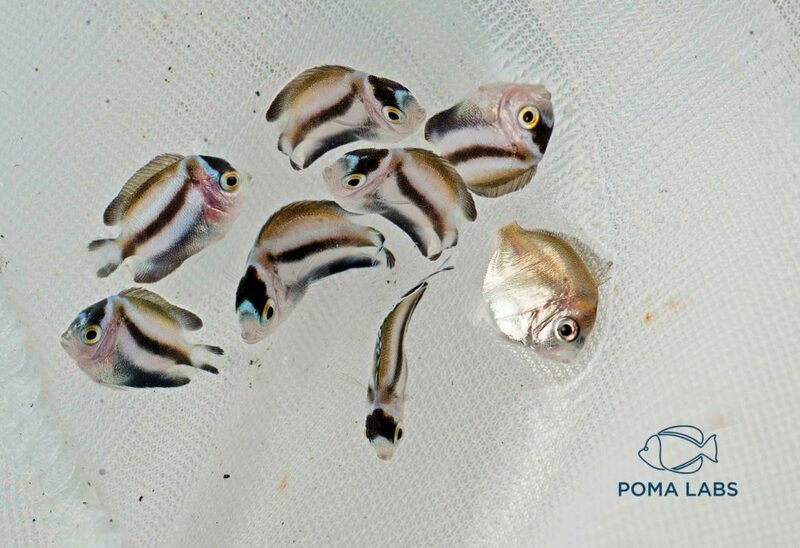 The imported wholesale price dictates a retail price that is nearly 3 times higher than the wild-caught counterpart price; in short, these came at a premium for being captive-bred. 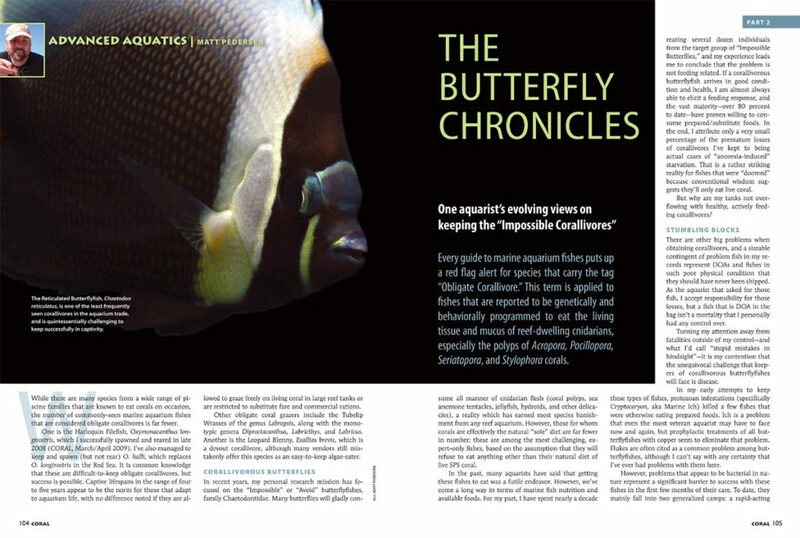 When I asked if there were more to come, or if more were going to be produced, Su said that they were moving on to other angelfish projects; more Pomacanthus, Apolemichthys, Holacanthus, and Chaetodontoplus spp. 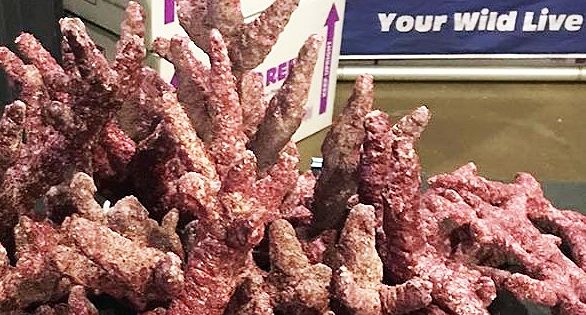 Future production of captive-bred Goldflakes could happen, but it’s not a priority at this time. Su noted that climate change has been affecting aquaculture operations at Bali Aquarich: their sea water is hotter and rains are stronger. As a result, much of 2016 has been devoted to new construction at the facility. He is particularly excited about the addition of many more broodstock ponds, which will allow him to know the identity of the eggs he is working with. 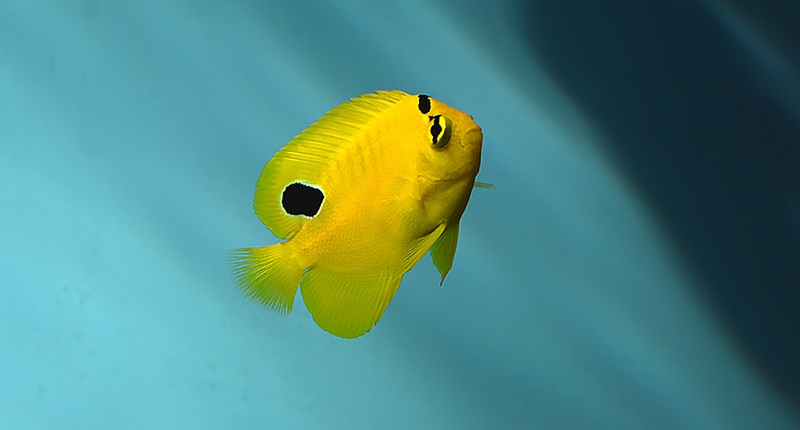 Angelfish broodstock has been held in communal tanks, which means that the staff may not really know what species they’re working with until it’s already reared. 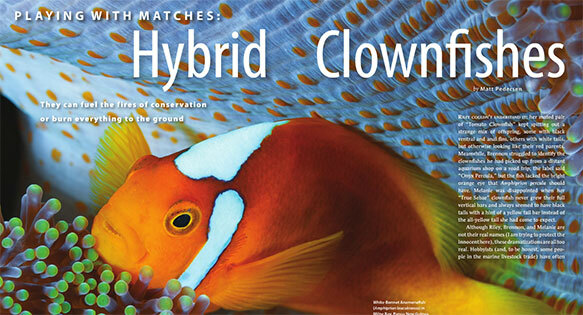 Segregating the species will eliminate any chance of hybridization. 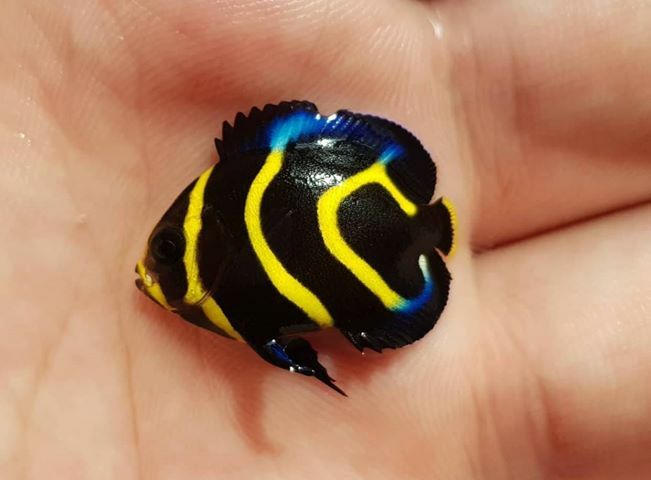 While the captive-bred Goldflake Angelfish may represent an expensive novelty due to restricted production, it’s nice to know that this is another species that could be produced via aquaculture, should the need arise. 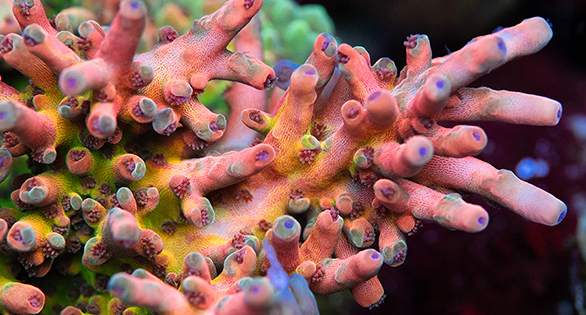 Given Su’s trailblazing nature, you can bet that sooner or later, we’re going to see more species firsts come out of Bali Aquarich.